Regular class is open for all student regardless belt colors and level. It starts with warm up movements, and then moving to techniques and drills, finishing with free sparring. Master Japan Fukuoka is an official academy of International Brazilian Jiu-Jitsu Federation(IBJJF) & Japan Brazilian Jiu-Jitsu Federation(JBJJF). We are able to promote belts from white to black at Master Japan Fukuoka. About the detail of Brazilian Jiu-Jitsu Belt System is from HERE. This is the class for the kids between 6 to 15 years old. This class starts with basic exercise such as mat exercises to learn how to control own body. The class continues to learn break fall, basic Jiu-Jitsu movements and respect for all while having fun through playing some games. This is the MMA class for the kids between 6 to 15 years old. This class starts with basic exercise such as mat exercises to learn how to control own body with striking, throwing and submission. The class continues to learn break fall, basic MMA movements and respect for all while having fun through playing some games. 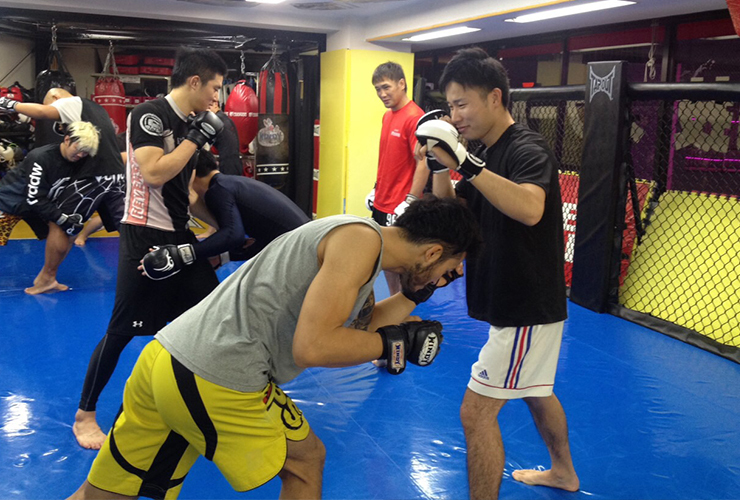 This class is for students who wish to feel or learn the Mixed Martial Arts(MMA). This class focuses on the basic movements in MMA, as well we basic striking, takedown and submissions. Practice includes attack techniques using gloves and open-finger gloves. Ground work technique used in Mixed Martial Arts (MMA) called pounding will be practiced, utilizing it and defending against it. This class is for advanced level students who wish to enter the competitions in MMA. It will include a series of physical training and positioning sparring which can be very demanding. The students need a permission from instructor to attend this class. This class is not able to be visited as observation or trial. Please ask the instructor the detail & the time. We have a private lesson system that individual or group lessons by reservation (except normal class time). We can respond to various requests, such as would like to take lessons at the desired time or to be taught individually or etc. ＊Please pay the fee in advance for appointment. ＊We have a special package for private lesson and group lesson. Please call or email in advance for special arrangement. ＊Master Japan Fukuoka Personal Training (Private lesson)’s rates up to 2 people will not change.